Wavy 80? Photo by Ted Friedman. 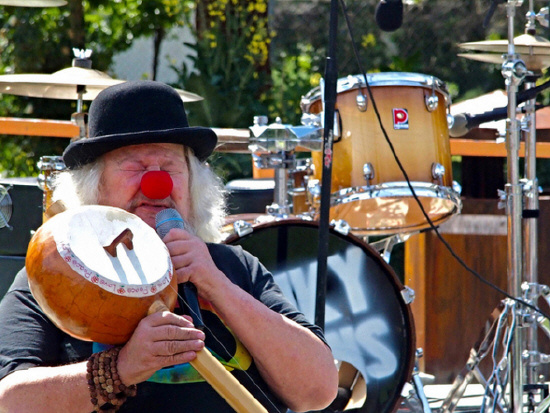 Wavy-Gravy* announced he was almost eighty and was grateful to be not dead*. Food not Bombs* was cookin. 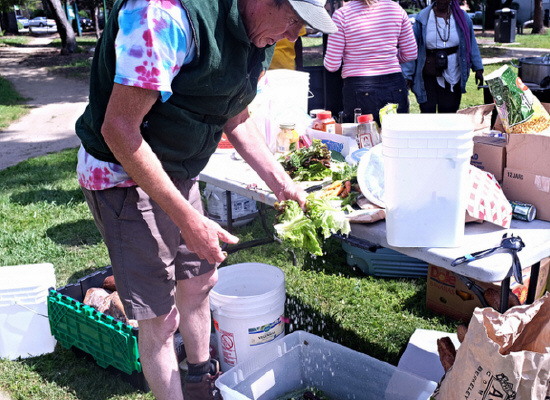 Wet lettuce won’t stop us. Photo by Ted Friedman. An old hippy complained that Funky Nixons did the same songs at each of these Peoples* Park birthdays (47, Sunday). Homeless Cal students alongside Peoples Park (47, Sunday). Attacked for littering. Photo by Ted Friedman. An old hippy told me he lost three teeth in a suckerpunch attack. Bystanders, and police, came to his aid. They said the hippy was bleeding from the mouth. The said cans. Photo by Ted Friedman. The beating was over a few drink cans tossed beside a bench at the park’s periphery. 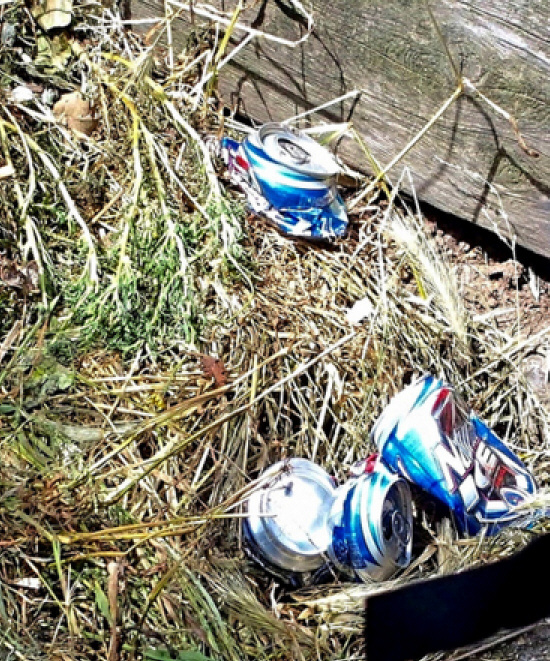 “I didn’t litter the cans,” the old hippy said. Costume clown. Photo by Ted Friedman. Berkeley’s most notorious “naked girl” did not disrobe. But she danced with her old man. A few years ago, a nudist guy was almost busted. 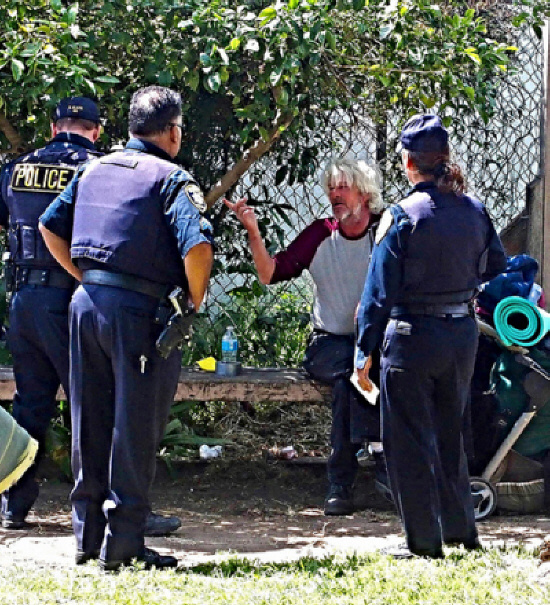 A park crowd encircled him, and the cops left. Peoples at the park birthday were all naked, though. Their hearts were hanging out. * Photographers shot those hearts. * “…joint with Jesus. From their hit single, “I’d like to smoke a joint with Jesus.” According to the Catechism, it’s all right to desire this because it shows you care. *Wavy Gravy,” a famous hippy from the summer of love—the Haight-Ashbury. 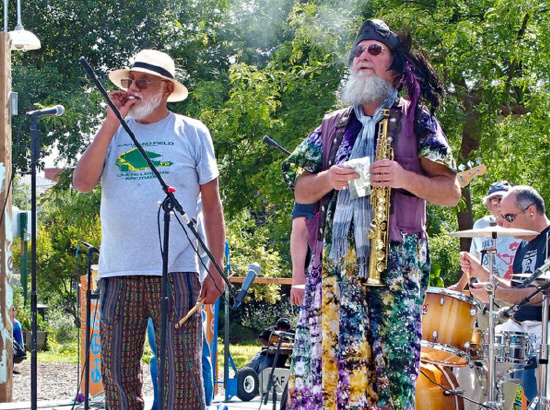 A legendary performer, he founded a music camp, WinnaRainbow, in the woods of Mendocino, County. * Not dead. Reference to the Grateful dead who have a lot to be grateful for. 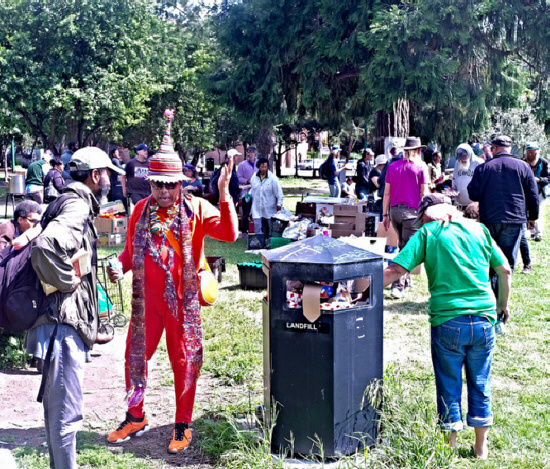 *Food not Bombs, a famous food-giveaway, giving it away in Peoples Park for more than twenty years. Occasionally, some numb-nuts will try to ban FNB from Peoples Park. FNB’s response: we beat SF in court when they tried this. * “…past feats of demonstration.” Like the park Volleyball protests, and the CAL Memorial Stadium two-year tree sit. * Peoples, without an apostrophe. A conscious decision by park founders to show that no one, in particular, owns the park. Cal owns the park. That’s your laws. Park law says the land may, just may, belong to Cal, but the park itself belongs to no one and to everyone. * “Tribes.” Some hippy’s identified with tribalism. 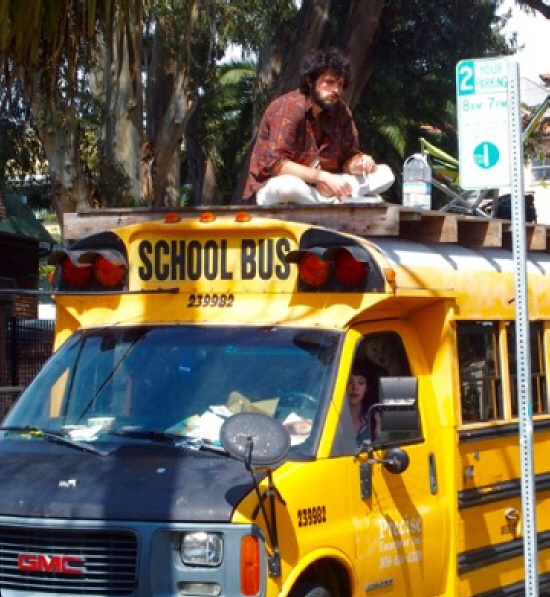 Berkeley’s other counter-culture rag was, “the Berkeley Tribe,” and also a commune. * “Amerika” was a cult term for the USA in the Vietnam era. The word is from a Franz Kafka novel, “Amerika.” Kafka never saw America and the book is not about America. The latest conspiracy theory involving Amerika is: THEY are readying concentration camps for U.S. protestors and bums. *…long gone theatrical costume stores. The store on SF’s Market closed decades ago. A small theatrical costume store on Berkeley’s Alcatraz, Ave., closed more than five years ago. The Sgt. Pepper look will now be hard to get. * “…hearts hanging out…” A metaphor for warm folk on a sunny, if breezy, day in Peoples Park. This entry was posted on Wednesday, April 27th, 2016 at 8:23 am	and is filed under The Berkeley Scene, The Global Scene Through Berkeleyan Eyes. You can follow any responses to this entry through the RSS 2.0 feed. Responses are currently closed, but you can trackback from your own site.